King's Chapel premieres "Set Me as a Seal"
Sunday, February 11 at 11:00 a.m., the King's Chapel Choir, under the direction of Heinrich Christensen, will premiere my setting of "Set Me as a Seal" for SATB choir unaccompanied. Composed in celebration of the marriage of Leigh Royden and John Diniz, it will be performed as part of the King's Chapel Sunday workshop service. After a nearly year-long collaboration working with the gifted organist Christian Lane, we are one week away from the world premiere of Concordia Salus: A Fantasy for Organ. Chris and I made a whirlwind trip from Boston to Montréal and back last weekend to set registrations and to make a recording on the Grand Orgue Pierre-Béique at Maison Symphonique. Chris Lane will play one half of a concert that also features Jean-Willy Kunz, resident organist at Maison Symphonique. Jean-Willy will perform with a jazz quintet as a featured as part of the Montréal Jazz Festival. This is a unqiue program that combines music associated with both the jazz and organ festivals--the first ever concert program fusing the music of these two festivals. Scores for Concordia Salus are now available through Subito Music Distribution. Back in December 2016, Chris Lane and I met at Old West Church in Boston to discuss how the Montréal Organ Festival commission was progressing. This interview footage was captured during that meeting. Special thanks goes to Wade Roush for both his interview and video skills. This short interview with Christian Lane was recorded on Friday, August 5, 2016 at Maison Symphonique in Montréal. Chris discusses the process of organist-composer collaboration. Last week, organist Christian Lane and I made a pilgrimage to Montréal’s Maison Symphonique to explore the color possibilities of the Grand Orgue Pierre-Béique. Chris has performed on the instrument several times before, so he was an excellent guide to the organ as he played through some very rough initial sketches for the Montréal Organ Festival commission. The instrument is extraordinary and does many things that most organs can’t do: sostenuto options that free up the hands, keyboards couplings that permit staccato articulations on one set of pipes while playing legato on another, etc. The Chamades division is quite impressive—it can create a crescendo by slowly floating the pipes (while sounding) out of the organ case by means of a dedicated motorized mechanism. Aside from these more unusual features, the main instrument itself is warm and full of beautiful sound color options. And then there is that hall—modern and bright, and acoustically pleasing and reverberant without a hint of muddiness. Maison SymphoniqueThe trip was, for me at least, a huge success. Chris is a trouper—very helpful (and patient). He was willing to experiment with the same passage multiple times with varied registrations in the service of teaching me what that organ can do. As an added bonus, I had the opportunity to meet several key people who are instrumental in organizing the Festival, including Thomas Leslie, Adrian Foster, and Frederick Frances. Everyone was so gracious and welcoming with that I felt right at home and well cared for—quite a treat. A special thank you goes to Jean-Willy Kunz, organist for the Maison Symphonique, for his willingness to grant us access to the hall and the amazing instrument. The Grand Orgue Pierre-Béique was generously offered to the OSM by Mrs. Jacqueline Desmarais. Christian Lane, organistI am excited to announce a new commission to write a concert organ work for the 2017 Montréal Organ Festival, to be premiered by American organist and educator Christian Lane. The festival, which is a collaboration between the Royal Canadian College of Organists (RCCO) and the Northeast Chapter of the American Guild of Organists (AGO), will feature performances and workshops throughout the city showcasing many of Canada’s finest instruments. 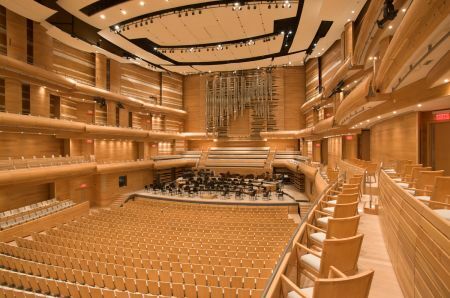 The new work will premiere at Montreal’s Maison Symphonique, a state of the art concert hall that is home to a Casavant Frères organ inaugurated in 2014. The 83 stop, 116 rank instrument offers an enormous range of exciting color possibilities. I’ll be heading up to Montréal with the organist in early August to get an introduction to the instrument. It is a great pleasure to work collaboratively with this fine musician, and Chris is proving to be a great help in the development of the new piece—I couldn’t have asked for more. I’ll post again in the coming months to document the progress on this commission. Three upcoming performances in 3 weeks! Facing an embarrassment of riches, I'm excited for the upcoming collaborations with Heinrich Christensen. 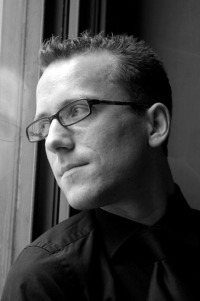 First, Heinrich conducts the King's Chapel Choir on Sunday, January 24 at 5:00p.m. in the world premiere of "Gems and Tempests," songs for soloists and chorus that marke the 400th anniversary of Shakespeare's death (see http://www.kings-chapel.org/concert-series.html for details). Then as organist, Heinrich will present a pair of recitals featuring my works and those of composer Robert Sirota, in Boston at St. Cecilia's Parish on Friday, January 29 at 8:00 p.m., and in New York at the Cathedral of Saint John the Divine on Sunday, February 7 at 5:00 p.m. (see previous post for a video that details the programs). This lovely review was written for Amazon by Wade Roush. I am so grateful for such a thoughtful, kind piece of writing. Once again, Andrew Wang offers a beautiful, heartfelt performance. Fanfare Magazine has reviewed my latest CD, "Compendium" Selected Solo Instrumental Works." Thank you Carson Cooman for this thoughtful, sensitive review. One week ago, pianist Andrew Wang recorded two of the movements from Six Preludes for Piano to be presented as music videos. The first effort was a wonderful success and shows off Andrew's impressive technical prowess and artistry. Keep an eye peeled for the next video of prelude #5, "In Memoriam" coming within the next few weeks. The videography was handled expertly by my cousin Shaun Ramsay, with the audio engeering by Antonio Oliart at Fraser Performance Studio, WGBH, Boston. Thank you Shaun. Thank you Antonio. I couldn't have done it without you! Official Release Date: September 1, 2013 for "Compendium"
Albany Records has announced September 1, 2013 as the official release date for "Graham Gordon Ramsay Compendium: Selected Solo Instrumental Works." The CD will be available internationally at all major music retailers, as well as online for electronic download. The CD release event will be scheduled for early October. Stay tuned for exact date and venue to be announced in August. Musician biographies for Jodi Hagen, Timothy Macri, Scott Nicholas, and Todd Seeber--the fine instrumentalists whose performances will be featured on the forthcoming "Compendium" CD. Liner notes for forthcoming CD "Compendium"
About a decade ago, I began to seriously reexamine my life in music, taking stock of the compositions I had created and looking forward to the kinds of works I wanted to compose in my future. This kind of introspection was sobering, as it was hard not to think of my own mortality. I tried to imagine what it would be like if I were to compose just two works per year until I was 70 years old. What kinds of musical forms and genres would I explore, and which instruments and performers would I write for? The more I thought about it, the more excited I became. I began to relish the idea of new musical explorations and creating a body of work that contributes to the musical literature in some small way. I have just uploaded a new video to my YouTube channel featuring a truly stunning performance by Todd Seeber. Todd and I have known each other since we were at Boston University together as undergraduates, and this movement from the suite Prologue and Two Scenes for Double Bass was composed for him in 1984 to showcase his talents. Todd makes the bass sing with a lyricism that, coupled with his technical virtuosity and musical intelligence, rivals in intensity and emotional depth of any bassist I have ever heard. He is a member of the Boston Symphony (and was the youngest member of the orchestra at the time he joined in 1988). I revised this work in 2006--some 22 years after it was originally composed--and then worked with Todd to capture this recording. It will be included along with it's sister movements in the forthcoming CD by Albany Records of my solo instrumental works. Concert premiere of "Mirabile Mysterium"
On January 27, 2013 at 5:00 p.m., the King's Chapel Choir will present a concert premiere of "Mirabile Mysterium," composed for King's Chapel and presented for the first time during their Lessons and Carols service on Christmas Eve, 2012. The concert program entitled "A Light in the Dark" will also feature the Ramsay "De Profundis," as well as works by Debussy, Praetorius, Victoria, Whitacre, and Christensen. Yesterday (November 7, 2012) was a red letter day for me, as it was the recording debut of my "Six Preludes for Piano." The 24-minute work was performed by Scott Nicholas, a fine pianist who treated the work with great nuance and sensitivity. We recorded at the Fraser Performance Studios at WGBH and Boston under the expert guidance of audio engineer Antonio Oliart, and Shaun Ramsay (my cousin who is a gifted photgrapher and musician in his own right) served as documentarian and videographer. Finally, my dear friend and colleague Heinrich Christensen came to offer his expertise as pager-turner and general moral-supporter. I'm a very lucky fellow--thanks to everyone how came to help out! The "Six Preludes" is the last work to recorded for inclusion on a CD of my solo instrumental works, forthcoming from Albany Records in the summer 2013. Next up: making editing choices in preparation to go to the engineer. I've go my work cut out for me, but it's nice to have these kinds of problems!